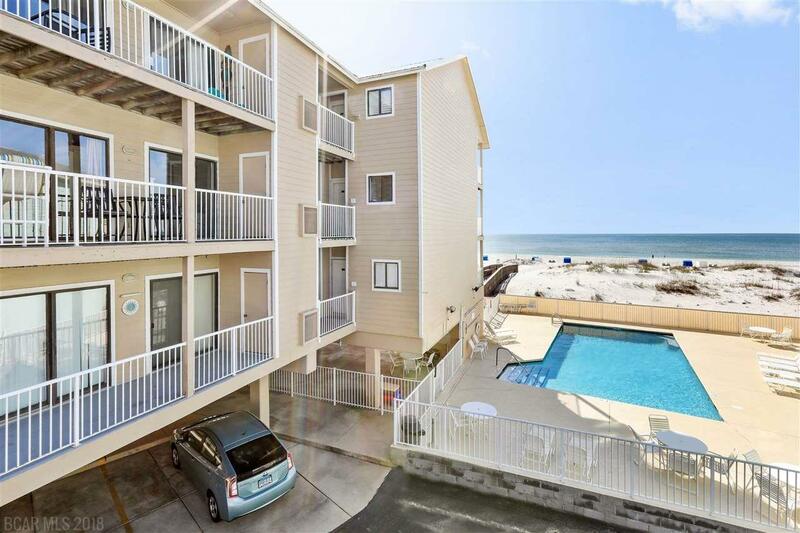 Beachside condo with 2 bedrooms and 2 full baths. No highway to cross!!! Nicely furnished and decorated. Smooth ceiling with crown molding, updated kitchen with granite counter top. Private balcony with view of the Gulf. Outside storage for beach items. The condo has been used as a second home and already set up with Nest thermostat and electronic smart door lock, has a good rental potential. Covered parking and elevators for easy access.